The American act Tenacious D formed to ROCK and bring the comedy infusion that everyone loves and adores. 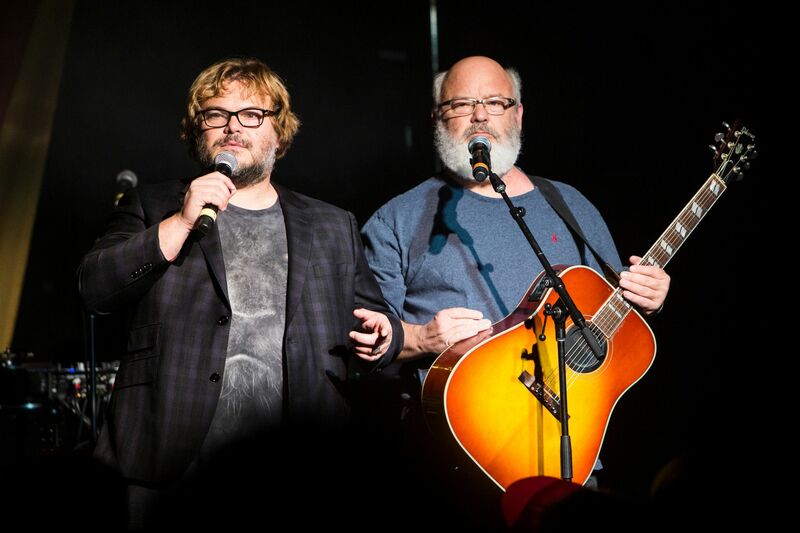 Starting off their career in 1994, the duo of the actor Jack Black on lead Vocals and lead Guitar, along with his fellow companion, Kyle Gass. Together they have released a total of three studio albums and have given unstoppable shows the their fans travel all across the country and the world to be a part of. In the chance of their far and few performances, they also have special guest musicians part of their line up such as; guitarist John Konesky and bassist John Spiker. Drummer Dave Grohl (Foo Fighters, Nirvana) has played on every studio album. With their first appearance on TV they made people aware of just how larger than life they were. Tenacious D's famous line is "This is Not A Tribute" spinning off from the movie that took the world by stop, Tenacious D in The Pick of Destiny. With this they were enabled to tour the world and bring it to life in an unforgettable show. Their hilarious music has been fittingly titled throughout the years as "Mock Rock" as they tell creative stories through their lyrics stumbling on a beast and discovering their purpose as well as smoking cannabis, falling out as friends, rebuilding their friendship and more! Come and be a part of their special showcase LIVE at Stage AE – tickets available to book online – just click above! !